Expired 1mo ago . Last validated 5mo ago . Used 1 time. Diogo Bianchi Discount valid on a second clearance item with an equal or lesser price when first clearance item is purchased. 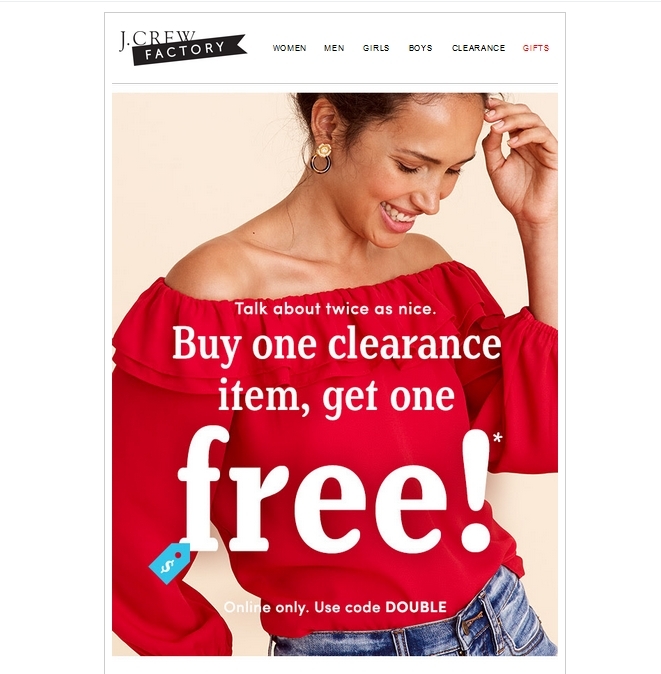 Offer valid at jcrewfactory.com on November 15, 2018, 12:01am ET through 11:59pm ET. 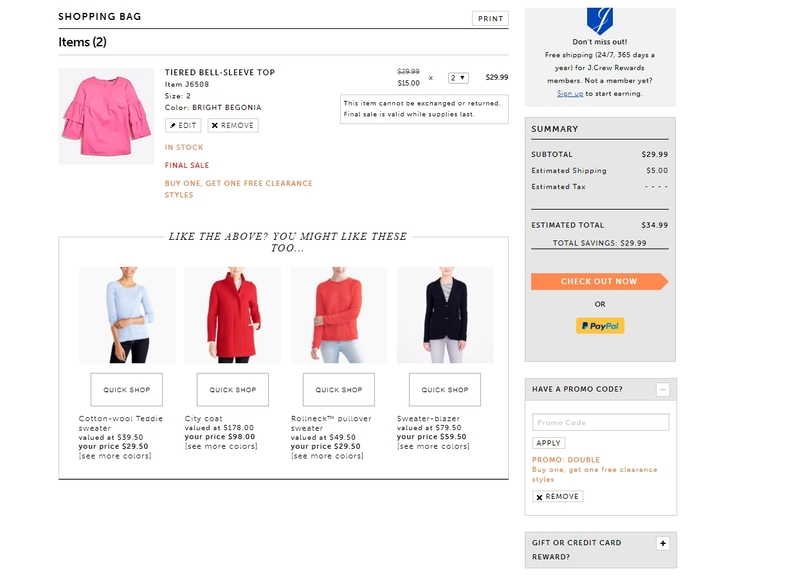 Offer not valid in stores, at jcrew.com or on phone orders. Offer cannot be applied to previous purchases or the purchase of gift cards and cannot be redeemed for cash or combined with any other offer. To redeem, enter code DOUBLE in the promo code box at checkout.